White walls are a timeless classic but what happens when they suddenly appear austere to you? Your first thought could be painting them but you don’t necessarily have to paint your walls to change its colour. 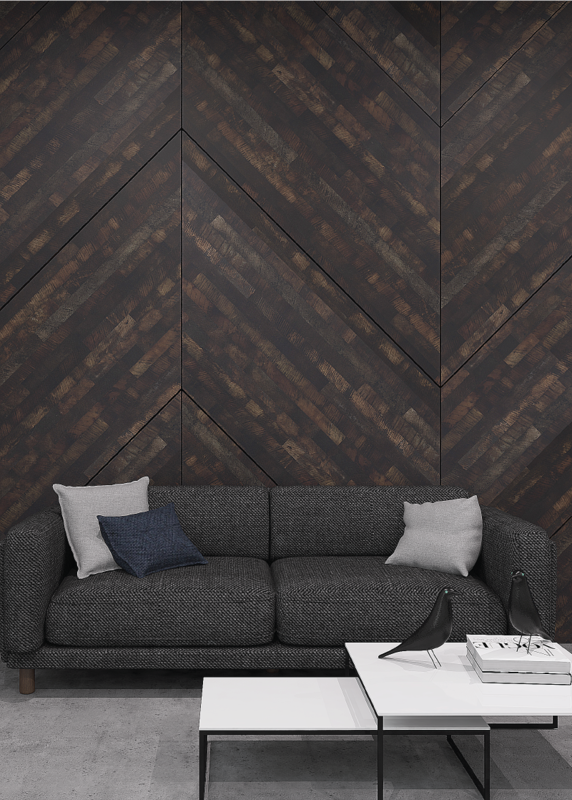 If you are looking for something that is uniquely you, try creating your own laminated feature wall and you can even go one step ahead by making them a statement. 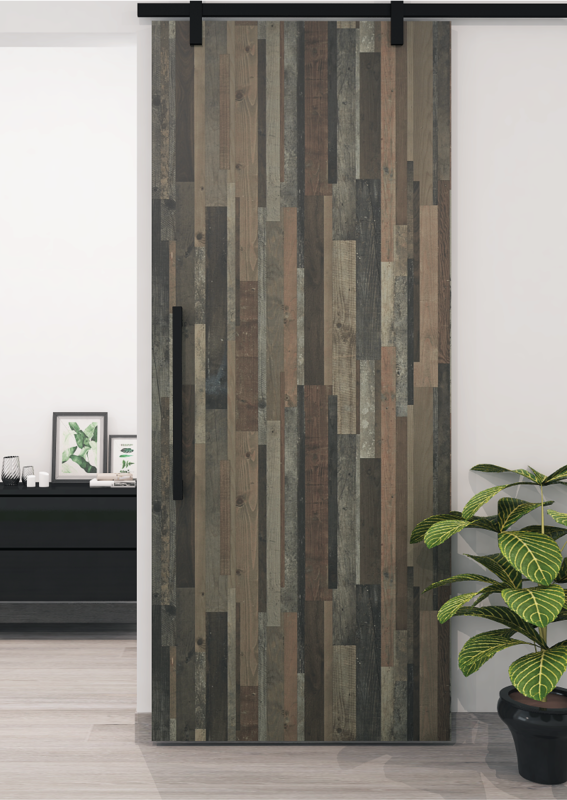 Here are four examples of how a feature wall, adorned with laminates, can make a stunning difference in bringing your home’s colour scheme together! If you want to eschew from your place looking flat, these wood laminates is a good way to bring out that much-needed pattern. 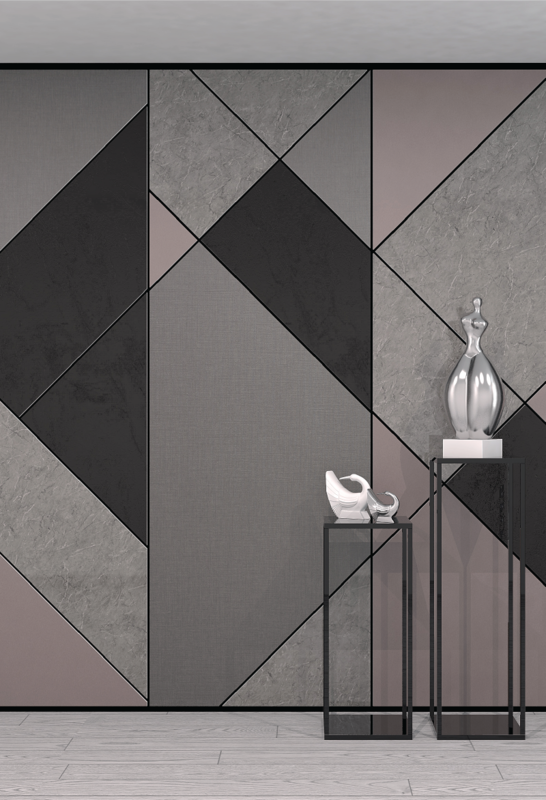 Since grey is already used to ground the area, this statement wall makes an even more dramatic backdrop with the different tones meshed together in this one laminate. The aesthetic might otherwise appear a little moody and bleak if you decide to continue with the grey colour palette. You can also play around with the positioning of the laminates and can significantly transform the overall look of your home. Immediately, the room looks complete. Are you now tempted by the many creative possibilities our laminates can create? Well, it’s not over just yet! If you are not all that ready to go bold, you can tone it down a little while still retaining a sense of sophistication. We did this by colour-blocking dusty pink and grey hues. The Grey Stone (PG2809HG), Schwarz Perle (PQ2995MO) and Dark Fabric (PG2988DE) laminates makes it simple and subdued. Together with Brushed Rosegold (PG2508B) laminates, they will go well with any metal decor pieces that you might have in your home. As a whole, they will contrast well with your white ceramics like how they did in this example. If you have a small space, you don’t have to fill the entire span of a wall. Instead, Timber Blocks (PG1521T) laminates on the door instantly doubles up as a feature wall against this white room. Since the room already has plants and green pictures, these laminates fit right well in with the natural appeal. Even when it does not take up a large area, it already makes a gorgeous focal point on its own. You don’t always need a colourful combination to make an impact. 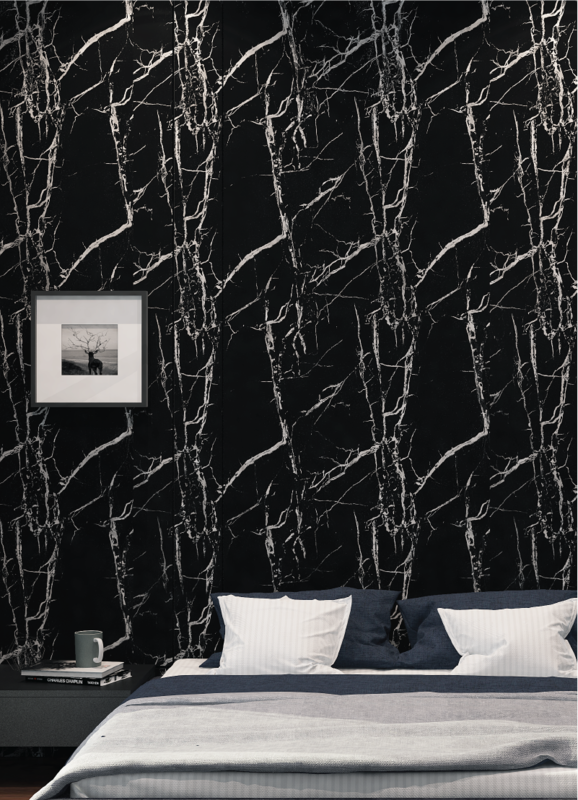 Here, these black and white laminates on the feature wall turns up the dramatic effect, making it such a striking statement piece. If you are up for the challenge, think out of the box with these laminates. They boasts elegance, also perfect for matching well with any existing monochrome picture frames that you might have. When it comes to designing your interior, you will need all the help you need to make sure your home looks amazing so don’t just rely on your imagination. 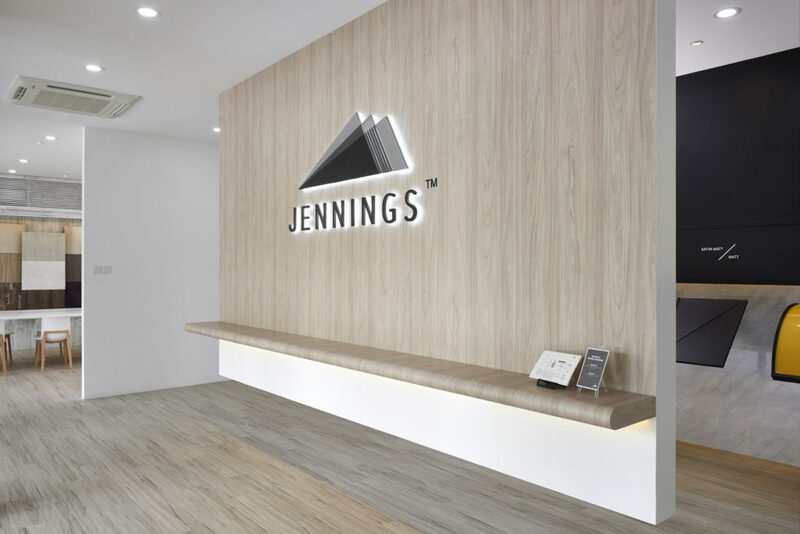 Make some time to drop by our laminate gallery and there’s surely a laminate that is meant for you here at Jennings!